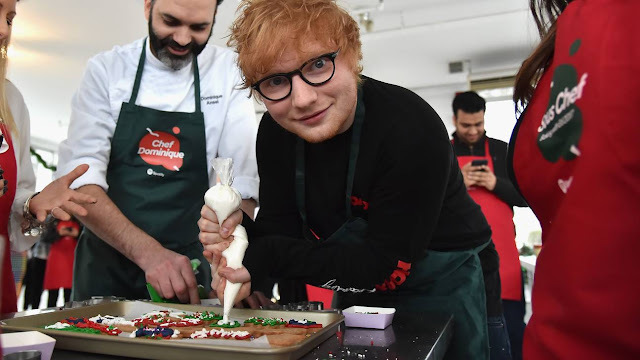 Make room for dessert, because Ed Sheeran traded the stage for a kitchen last weekend. 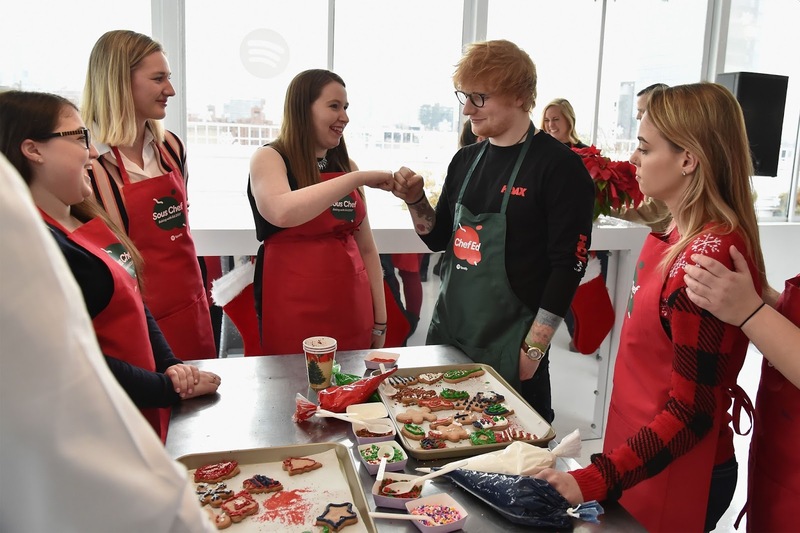 At a Spotify event in New York City, Sheeran teamed up with pastry chef Dominique Ansel to treat his most dedicated fans to something delicious. Christmas cookies are a joy to begin with, but they're even more magical when Sheeran whips them up himself and calls them "gingerED" cookies. 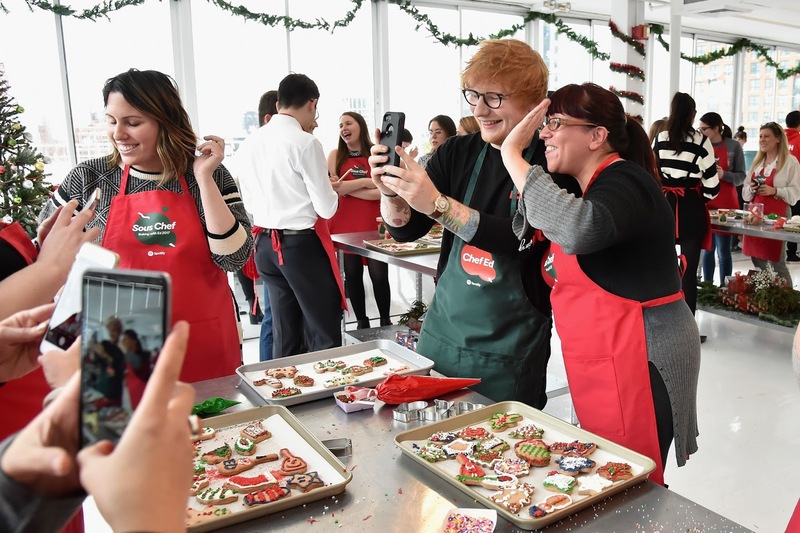 Several lucky Sheerios got enjoy these festive cookies while hanging out with Sheeran himself. Of course, this event had a holly-jolly dress code; everyone wore red and green aprons. Sheeran's even boasted the title "Chef Ed," so attendees knew who was really in charge around there. In a happy coincidence, James Corden recently referred to the ÷ singer as the "gingerbread man" in a Late Late Show sketch. Perhaps this joke foreshadowed Sheeran's scrumptious side hustle. Once the worldwide success of "Shape of You" dies down — more on that in the video below — maybe him and Chrissy Teigen can write a cookbook together.